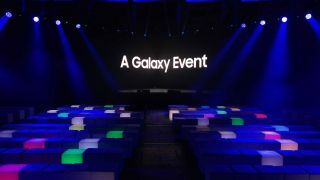 The Samsung Galaxy launch event is now over, but we were live at the company's satellite event in Italy to bring you everything you need to know about the new handsets. Samsung's main event is actually being held in Bangkok, Thailand, where company CEO DJ Koh took to the stage to unveil the firm's latest A series of smartphones. They are mid-to-high end devices, and you can find out all about them in the news story below. If you want the full picture, but sure to read back on our live blog that we've left below. 14.23 - And we're done! No word on pricing, but we're going to get hands on and bring you everything you need to know about them very soon. 14.21 - Samsung has killed off its J series, merging it into the A series, with the introduction of the Galaxy A20e and Galaxy A40. These will be cheaper handsets lower down in the range. All four new devices work with the rest of the Galaxy ecosystem including Galaxy Buds and Galaxy Watch. They also come with Samsung's One UI Android overlay which we've seen on the S10 and S10 Plus. 14.17 - The Galaxy A70 makes live video communication more dynamic. It comes with Samsung's Infinity-U display (which a notch just the size of the front facing camera) and packs the firm's Super AMOLED panel for vibrant colors. It also packs an in-display fingerprint scanner and defense-grade security. There's a triple camera set-up on the rear. There's a main camera, depth camera for blurred backgrounds in portrait mode and an ultra-wide angle 123 degree snapper. The Galaxy A70 has a sizable 4,500mAh battery, and it supports 25W super-fast charging. The Samsung Galaxy A70 release date is April 26, with four colors to choose from - black, blue, white and pink. 14.15 - Onto battery and the A80 has an intelligent battery which monitors your usage and adapts power output to give you the best battery life. The Samsung Galaxy A80 release date is May 29. 14.12 - Moving onto the triple camera setup on the rear, with 3D depth, main and ultra-wide sensors (123 degree). However, open the camera app and switch to the selfie camera the top of the A80 slides up and the cameras rotate to face you. It means you get the best cameras whichever way you want to use the phone, but we already have fears about just how breakable that mechanism will be. The 3D depth camera debuted on the Galaxy S10 5G, but it's not on the A80 too, allowing you to measure real life objects. There's "super steady video" support to, for smooth, blur free video recording. 14.10 - The Galaxy A80 is the first Galaxy device with an all-screen design (no note, no punch-hole, no bezels). It's a new Infinity Display, and its size means it's good for multi-tasking, allowing you to have two apps on screen at the same time. It also boasts an in-display fingerprint scanner (like you find on the Galaxy S10 and S10 Plus), as is the ear piece. When we say no bezels, that's not strictly true. There are slender bezels running all the way around, but they are super slim. Looks good so far. 14.08 - Hammering home the "live" aspect of content sharing here. Samsung wants to "help digital pioneers to push the limits of live mobile communication" with the new A Series. 14.05 - Two new devices! They're the Galaxy A80 and Galaxy A70. We're getting a video promo first. Triple cameras on the rear and a waterdrop notch on the A70. The Samsung Galaxy A80 looks more exciting with an all-screen, no notch display and a rotating (yes, rotating) pop-up camera). Samsung says these are "built for the era of live." So we expect a camera/video heavy focus. 14.04 - "Galaxy A reflects our vision of being the innovator of new mobile experiences." 14.01 - Koh is excited to be here with us today. Well, so are we DJ. Let's party! Koh kicks off my telling us how young people are creating new content and new ways to connect - it's pretty clear who the A series is targeted at then. There's a focus on "live" content, and Koh says he's learnt a lot from this young generation of phone users. "We are creating a new set of standards for Galaxy A. Live video is at the center of use, so we've made a camera that sees more" Koh explains. "We've made the screens bigger and brighter... we've made a battery which can last all day." 14.00 - And we're off, with a disgustingly ear-splitting video inviting us to "meet the new Galaxy A". The main event is being streamed from Bangkok, Thailand and Samsung CEO, DJ Koh is taking the stage. 13.57 - "Ladies and gentlemen, the event will begin shortly. Please take your seats." Seats? I think you mean illuminated cube, mystery voice from above. 13.55 - Five minutes to go and the soft techno music has been cranked up a level to really get us in the mood for some HOT PHONE LAUNCH ACTION. 13.30 - I've taken my seat, sorry, illuminated cube as we near the start of the announcement. There's a giant A which greeted me as I entered the event space, hammering home the fact we'll be seeing A series devices today. 12:00 - How many new Galaxy A handsets can we expect today? Well the invite we were sent for the event hinted at three devices, but if you believe all the rumors on the web surrounding this event we could see as many as five. Rumored so far: Galaxy A90, Galaxy A80, Galaxy A70, Galaxy A60, Galaxy A20. Could be a busy one. Two hours to go. 11:00 - We've already had a taster of some of Samsung's new A series handsets, as we got hands on with the new Galaxy A50 and Galaxy A30 back in February at MWC 2019. Expect this range to be expanded today. 10:00 - We've landed in Milan ready for the launch. Rumors in the build up to today have hinted at an all screen design (with no notch or punch-hole) with a number of names being tossed around.